I've mentioned before that I am a lazy mama when it comes to breakfasts for the small people. Instant oatmeal, cold cereal - that works for me. But I know they need heartier food so I love it when I find something good for them and easy too. 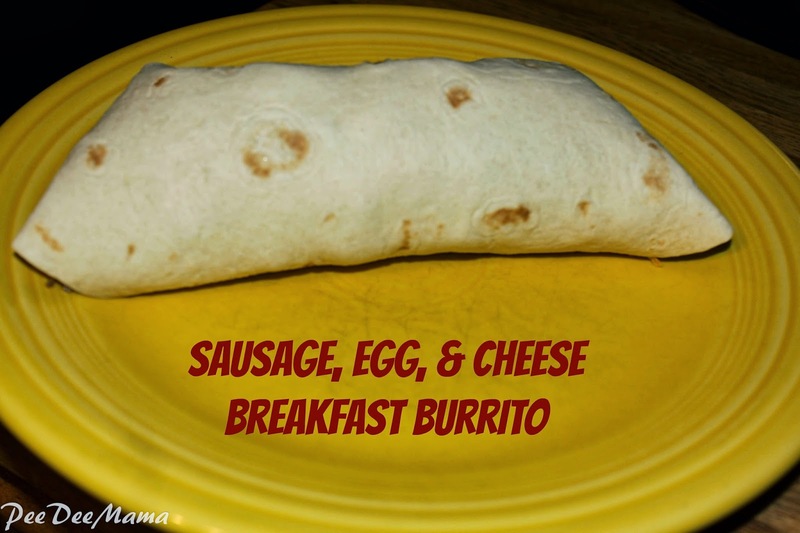 Enter the Sausage, Egg, & Cheese Breakfast Burrito. I found a recipe for egg & cheese burritos at The Taylor House. I added sausage to it to give it a little more filling, but you could add bacon, veggies, ham, etc. Crumble and brown sausage. Drain and set aside. Scramble eggs. Heat the tortilla for 30 seconds to soften it. (I did 4 at a time in the microwave between damp paper towels.) Spoon eggs into middle of tortilla. Sprinkle cheese over eggs. Add sausage. Wrap and eat! 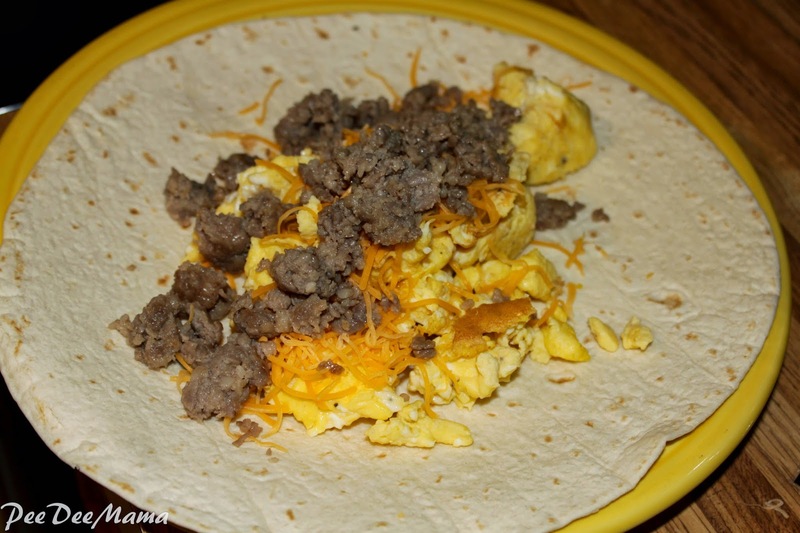 A ridiculously simple sausage, egg, & cheese breakfast burrito!